If you're traveling to China for work, on a tour, or visiting for pleasure, chances are you will need to withdraw cash. You probably won't need to visit an actual bank teller unless you are staying for a longer period of time and have an account in one of the Mainland's banks. Instead, you will most likely visit an ATM machine. Theoretically, ATMs are open 24 hours a day, seven days a week, but that doesn't mean that you will necessarily be successful with a foreign card in the machine when banks are closed. In this case, you will need to find an ATM with a label that says it only accepts foreign cards. These machines can usually be found in shopping centers and popular tourist spots in major cities. 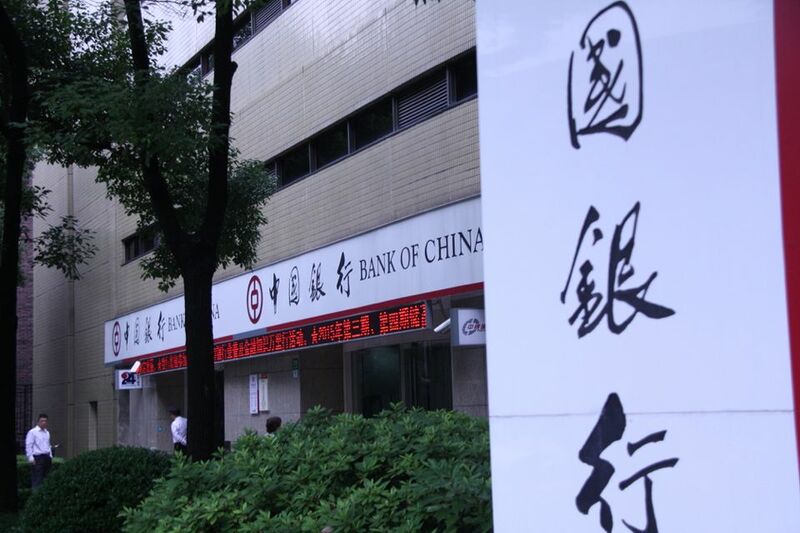 If you do find yourself in need of actually going inside and visiting a bank, the hours of China's banks are similar to what you are used to at home, with the exception of larger branches being open on the weekends. Banks in major Chinese cities are open at least six days a week from approximately 9 a.m. until 5 p.m., with the exception of some banks that close or operate with limited staff during lunchtime which runs from noon until 2 in the afternoon. If you need to use banking services, your best and safest bet is to go on a weekday before or after lunchtime. Banks are generally closed on official Chinese public holidays, though sometimes they are open or short-staffed for some of the days of a longer holiday break such as Chinese New Year. However, what is considered a public holiday and an official holiday is sometimes difficult to differentiate. Each year the government announces the holiday schedule. So while you might know that Chinese New Year falls on February 8 for a particular year, you can assume that the "official" holiday will include Chinese New Year's Eve Day, Chinese New Year Day, and the day after while the "public" holiday could run for an entire week. This can be confusing, of course, so it's recommended to complete your banking needs prior to the start of any major holidays, if possible. Generally, banks are closed on the government's mandated "official" holidays that usually include the Western Calendar's New Year, which falls on January 1st each year, Chinese New Year, which falls around the first day of the first month of the Lunar Calendar, which is usually in January or February, and Qing Ming or Tomb Sweeping Day, which is typically celebrated during the first week of April. Labor Day is celebrated on May 1st, though sometimes observed on May 2nd, while the Dragon Boat Festival is dependent on the Lunar Calendar, and is usually the second or third week of June. Victory Day, first introduced in 2015 as a one-day holiday to celebrate China's victory over Japan, is now held September 3rd. The Mid-Autumn Festival occurs on the fifteenth day of the eighth lunar month, which is usually in mid to late September, and National Day is celebrated on October 1st, with the official holiday lasting two to three days, and the public holiday lasting about a week. If you're planning your vacation to China and want to center it around or avoid one of these holidays, Office Holidays keeps track of the dates and closing times associated with China's holiday traditions each year. Of course, before you arrive in China and utilize any of the banking services, you should familiarize yourself with the local currency. The official name for the currency is Renminbi, which, in English means "people's currency". Renminbi abbreviated to its phonetic pronunciation of RMB. Internationally, the term Yuan is used, which is abbreviated to CNY. This currency is only used in Mainland China. The symbol for Chinese Yuan is ¥, but in many stores and restaurants throughout the country, you will find this symbol 元 is used instead. More confusingly, if you hear someone say kuai (pronounced kwai), that is the local word for yuan. Typically, you will find banknotes in denominations of one, five, 10, 20, 50, and 100 in circulation with the addition of one yuan coins. When converting your country's currency into RMB or withdrawing cash, it's important to know what the exchange rate is, since it can change on any given day. A great resource for checking the most up to date rates is XE Currency Converter, which you can and should check on your mobile device immediately prior to exchanging or withdrawing cash.